Hello! I appreciate the invite and opportunity to acquaint readers with my newest historical romance ebook, A Kiss of Promise and the story behind it. A Kiss of Promise, a story of betrayal, greed, sacrifice and love, is a sequel to the Blackstone brothers’ saga introduced in my first Regency, Regal Reward (available in print and ebook). In Regal Reward, York and Martin Blackstone’s father, a lord of the realm, is falsely accused of treason, imprisoned, and his family tossed to the streets of London. Eventually orphaned, the boys survive among beggars and thieves until they become adept as highwaymen, stealing from the wealthy. Regal Reward tells of York’s obsession to clear his father’s name and regain titles and lands lost to him as the eldest son. In A Kiss of Promise, younger brother Martin attempts to escape his family’s scandal and his wretched past. Since he was the youngest when his aristocratic family was destroyed, most of his childhood was spent surviving peril. Unlike his brother, who is now the lord of his late father’s holdings, Martin has the freedom to do as he pleases. He chooses to voyage to America, leaving the beautiful Alaina Craymore behind. He refuses to consider that his inability to commit to a relationship and his need for wild adventure is an escape from his own brokenness. Alaina is the daughter of the villain in Regal Reward and continues to be victimized by her father’s illegal ventures in A Kiss of Promise. 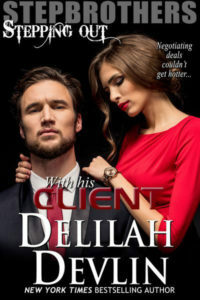 A stranger appears at her door with evidence that can be used to send her brother to prison unless she cooperates in one of her father’s unfinished business deals. She succumbs to his blackmail, sacrificing her reputation to save her brother. When Martin hears that she is in danger, he will face death to save her. 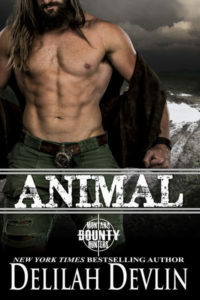 He must not only deal with a dangerous scoundrel but also come to terms with his past before he can offer Alaina what she needs the most, his love. I loved including secondary characters from Regal Reward in A Kiss of Promise, giving them new issues to resolve, humor to lighten their stories, and satisfying resolutions. A Kiss of Promise also gave me the opportunity to research and write about the hazards of ocean travel while my characters journeyed to new environments and fear-filled futures. Elaine is a veteran English teacher and holds a BS in English Education from the University of CT and an MS in Educational Leadership from Central CT State University. She presently teaches public speaking part time at a local community college. 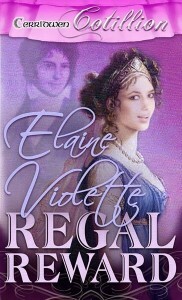 Her debut regency novel, Regal Reward, finaled in the NJRW Golden Leaf contest. Her second regency, A Convenient Pretense, illustrates her ability to create emotional depth in her characters and plot as well as her ability to write poetry that can be both heart-wrenching and humorous. She is a member of Romance Writers of America, CT Romance Writers (CTRWA) and Charter Oak Romance writers (CORW). She resides on the Connecticut shoreline and especially enjoys being a wife, mother, and grandmother to six grandchildren. Thank you once again, Delilah, for hosting me. I’d love to hear comments from readers!